OK, enough with the procrastination. Time to hold my nose and get down to business on what will likely be the biggest BDS fight of the year: upcoming votes at the bi-annual General Assembly (GA) of the Presbyterian Church in the USA (or PCUSA). 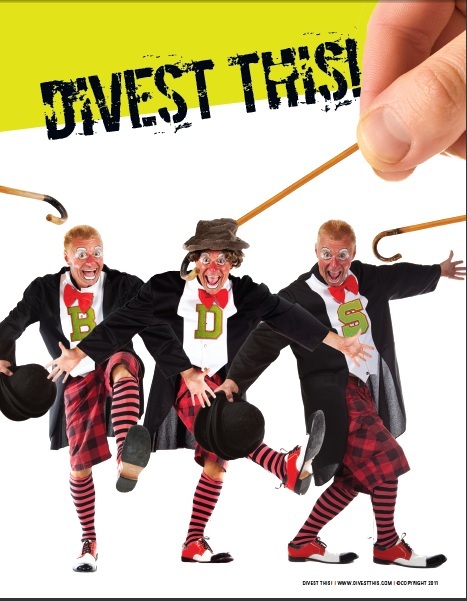 How do I know this year’s GA will be the site of yet another divestment fight? Simply because the year ends in an even number. You see, ever since PCUSA vote in divestment in 2004, the BDSers have decided that the organization belongs to them. And even if members rescinded that motion in 2006, and refused to reinstate in in votes taken in 2008, 2010 and 2012, that just means the boycotters are committing all their time and energy into forcing the group to take their sixth vote on the subject in hope that PCUSA will finally “get it right” (i.e., do what the boycotters keep telling the Presbyterians is their only moral choice). Having dealt with every single PCUSA divestment battle since 2006, I may be bringing a weary and occasionally angry tone to this year’s battle, which grows out of the fact that as a member of the Jewish community I’m getting a little sick of turning the other cheek so that PCUSA can have another chance to slap it just because the year ends in 0, 2, 4, 6 or 8. But having gotten back into the game during a year that ends with one of those digits, it’s best to start the discussion/education process early. And so this week and next I’ll be looking at some of the trends, activities and individuals that have led the Presbyterians to such a sad and sorry place. To kick things off, I’ve moved some of the content that previously appeared in a site named Bearing Witness that I and my friend Will Spotts (former church member and fellow anti-divestment activist) created for the 2010 PCUSA GA. The Bearing Witness logo that appears at the top of this piece will be featured in every PCUSA-related thing I write, linking back to that re-purposed content. As Will and I discussed when we first created this site (and since), presenting background information and reasoned arguments as to why the Presbyterians should finally rid themselves of the divestment virus is always going to suffer in the short term when competing with those who want to just shove photos of dead babies in everyone’s face and demand they take action (i.e., do what the boycotters say). But in the long run, it is important to inject accurate facts and reasoned opinion into the conversation, even if we know that this material will only be read by a small set of people (not very many of whom have sway over what the church does or does not do). So for those interested in delving into the question of how we got where we are, check out our Bearing Witness materials, as well as some of the selected stories that appear at the bottom of the right sidebar (which I will update this week and next). Starting tomorrow, I’ll take a look at how things stand in 2014 beginning with a backgrounder on what’s gone on in the two years since BDS was last shown the door by voters at the 2012 General Assembly. Presbyterian Church in the USA – Being an Israeli and so away from BDS activities, except through the media – what can we do from here. I post on blogs, internet hate sites and utube. What else can I do?? My sympathies are with you. Do not give up what you believe in. I sometimes must resort to comedy, very dark comedy, but it can help. Take a bit of time if you need, to recharge. Don’t burn out. The other day at a legislative hearing on weakening election advertising disclosure, I quoted Mussolini and Hitler, and I held up a picture of Mussolini and friends hanging by their heels in Milan in April 1945. I said in particular that I was not a violent person and did not want my legislature to go down the road of Fascism, but that the picture showeed where that road inevitably leads. I’m probably on some new list now. Or maybe just another tick on the ones I’m already on. Oh well!